FILM Ferrania has a unique Kickstarter project: fund them so that they can preserve Trixie, Walter, and Big Boy. What are those, you ask? Well, they’re massive sets of equipment used to make the plastic and chemicals in film, plus the coating gear that puts them together. The three sets of equipment are currently in an unused Ferrania plant gathering dust. Ferrania closed its doors in 2010, and the buildings and equipment that made all their film are scheduled to be destroyed soon. 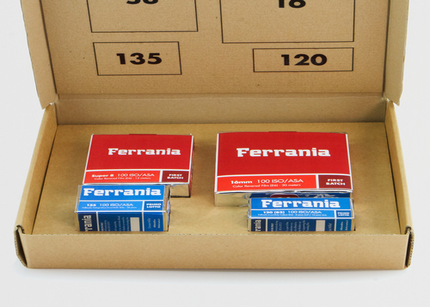 FILM Ferrania is a start-up that’s created small batches of film on their own, but now they’re trying to acquire what’s left of the old company so that they can expand. What they’re offering as a reward are limited edition 35mm, 120, Super8, and 16mm rolls of a re-engineered ScotchChrome ISO 100 slide/reversal film, products that used to be made by the old Ferrania. So, if you’re a film fan and want to help keep some of the old production gear operating, check out their Kickstarter page.